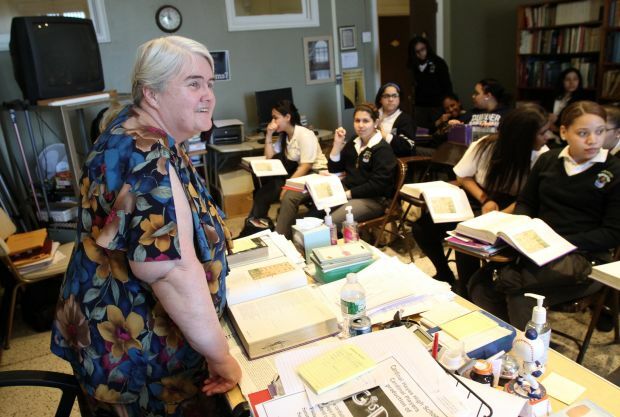 RYE, N.Y. (CNS) — In the end, the declining numbers trumped the best efforts of enthusiastic alumnae and parents, committed staff and a religious congregation to save a New York school founded by an immigrant saint, but the 115-year legacy of Mother Cabrini High School will live on. 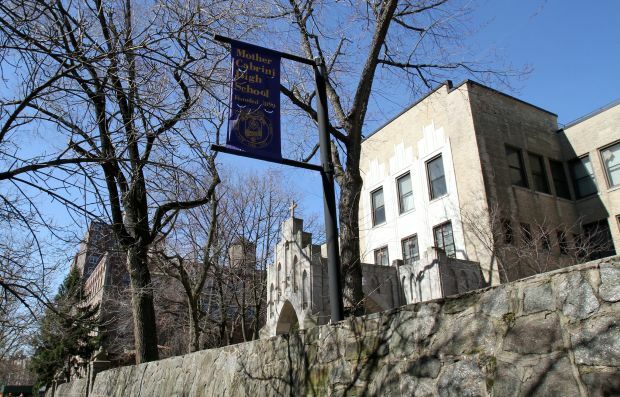 The all-girls college preparatory school in the Washington Heights section of northern Manhattan will closed at the end of the 2013-14 academic year. The decision was made by the school’s board of trustees and approved by the Missionary Sisters of the Sacred Heart of Jesus, which sponsors the school. St. Frances Xavier Cabrini founded the congregation in 1880 and established the high school in 1899. Increased costs and diminishing revenue made it impossible to continue operations, according to a school press release. There are 305 students enrolled, down from 455 in 2004. “The archdiocese can verify how hard the sisters and the board have tried to keep the school open. Our office will continue to offer assistance where needed, especially by helping the students find a new home in other excellent Catholic high schools,” Timothy J. McNiff, superintendent of schools of the Archdiocese of New York, said in a statement. 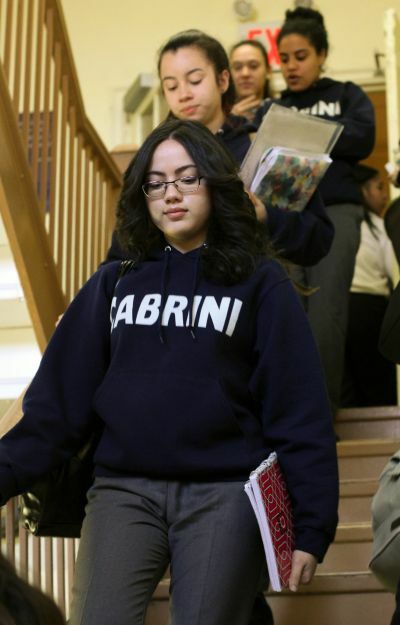 When the closing was announced, alumnae and parents of current students organized the Cabrini Movement to appeal the board’s decision. The group launched a media campaign and an online fundraising appeal with a goal of $100,000. Two weeks later, after raising more than $62,000, Cabrini Movement leaders met with the sisters, who confirmed the school would close because of an insurmountable deficit. “At that point in time, with the sisters’ blessing, we shifted our mission’s focus and centered on the need to help the 200-plus current students of MCHS complete their education as they started it as well as advocate for the advancement of women’s education in our community,” Liane Ramirez Swierk, alumna spokeswoman for the Cabrini Movement told Catholic News Service. She said the Missionary Sisters needed $7 million to keep the school open. According to a congregation history, Mother Cabrini High School was established as Sacred Heart Villa, “a residential school for young ladies.” Its plan envisioned that tuition paid by well-to-do earlier Italian immigrants would fund free schools for needy immigrants. Today the high school has a predominantly Latina student body and is located in a neighborhood popular with immigrants from the Dominican Republic. The school shares a campus with sisters’ convent and a shrine chapel, where the saint’s body rests in a glass casket under the altar. St. Frances Xavier Cabrini (1850-1917) came to New York from Italy in 1889 to minister to fellow immigrants. She became a U.S. citizen in 1909. She opened convents, schools, orphanages and hospitals for the poor in New York, New Jersey, Pennsylvania, Illinois, Louisiana, Colorado, California and Washington. Canonized in 1946, she became first American citizen to be declared a saint. To keep the school viable, the Missionary Sisters set benchmarks to meet by 2013, including achieving a balanced or surplus budget and undertaking efforts to enhance enrollment and development. In 2011, the congregation gave the school funds for capital improvements, maintenance, repairs and consultants to help it become self-sustaining. According to a congregation statement, “Administration and staff worked to intensify marketing, increase enrollment and obtain alumnae support and other donations through improved fund development.” The school added new course sequences, additional Advanced Placement programs and opportunities to earn college credits. Board member and provincial treasurer Sister Diane Olmstead declined to elaborate on the statement. Bruce A. Segall, president of the school since August 2011, told CNS the school researched and implemented an international student exchange program to host an initial six Chinese students, who paid full tuition in advance. He went to China to recruit students. “There’s a kinship with Mother Cabrini, because she always wanted to go to China as a missionary,” he said. Segall said when he was hired, two of the goals were to increase new enrollment from 70 students to 100 each year and raise annual “advancement income” from to $500,000. “We never reached that,” he said, although both enrollment and development income were inching up. “In hindsight, not doing a major gift program or gala was a mistake,” he said. One of Segall’s successful initiatives was to lease an underutilized campus auditorium to an off-Broadway theater group and a Jewish congregation. Ultimately, the school failed economically because of factors that included declining enrollment, withdrawal of federal grants and the growing cost of unfunded scholarships, tuition assistance, insurance and maintenance of an aging facility, Segall said in a statement co-signed by Paula Greco-McTigue, chairwoman of the board of trustees. Segall said the Missionary Sisters retained the National Executive Service Corps to help with school closing details, including student placement for the approximately 200 current freshmen, sophomores and juniors. Joseph Gerics, associate superintendent for secondary education for the New York Archdiocese, said he solicited local Catholic high schools “to see which would provide a soft landing for the girls.” Many agreed to accept Cabrini students in good standing and honor their current tuition agreements, he said. More than one-third of the current students have been placed in other Catholic high schools, including some who will move as a cohort, Gerics said. “Most of the students want to continue their education in Catholic high schools and our Catholic high schools have extended themselves to accommodate the students and make it financially possible,” he said. Despite sadness at the school’s closing, she said Mother Cabrini was a special place for generations of young women. “It shaped the women we have become, teaching us to have a voice, stand up for what we believe in, to become leaders and learn our worth,” Swierk said. NEXT: Border wall Mass was dramatic, but was anyone in D.C. listening?